Taking a vacation to Disney World or dreaming of a vacation? It is always exciting to plan (or dream about) a Disney vacation and to start your countdown. Now you can have the countdown right at the tip of your fingers with 15 fun Disney pictures to choose as your background or select you own pictures, and you have the option to have the pictures play as a slideshow. To help with planning and packing you will be able to check the 16 day forecast for Disney World or share your countdown image on popular social sites. To add to the excitement of counting down to your Disney vacation the full version has extra features that will alert you of important planning notifications, give you tips on many different topics that will help you both before your trip and during, and the ability to crop and size your own pictures as you add them. In addition there is a notification count on the main screen and you will now be able to customize your Countdown widget with the option to change the size, color, and location with the full version of the app. Use this checklist to keep track of all the New Hampshire White Mountain 4000 Footers you've climbed on your iPhone. This application lists all 48 of the New Hampshire White Mountains whose elevation is >4000 feet in descending order from Washington-Tecumseh, each peak listed is accompanied by their respective rank, elevation and a photo. Using this application allows you to track which mountains you've climbed, set & save the date of your climb, as well as a notes section in which you can free text information about your climb. Some ideas include: weather, route, mileage, etc. Use this checklist to keep track of all the Fourteeners you've climbed on your iPhone. This application lists all 88 of the Mountains in the United States whose elevation is >14000 feet in descending order from McKinley-Sunshine Peak, each peak listed is accompanied by their respective rank and elevation. Using this application allows you to track which mountains you've climbed, set & save the date of your climb, as well as a notes section in which you can free text information about your climb. Some ideas include: weather, route, mileage, etc. Calculate TCP Throughput, Data Transfer Time and Raid Performance with this handy networking tool. Calculate TCP Throughput. Just input the latency to determine the mbps transfer rate. Adjust the Buffer Size from the default windows buffer size if needed. Calculate Data Transfer Time. Input or select bandwidth, add file size and latency (toggle on/off latency limitations). Calculate Raid Performance. Select Raid Type, disk throughput, and number of drives. Include multi pal raid sets if wanted. Change between bits and bytes. SSD Raid Calculator allows for separate Read and Write speeds. 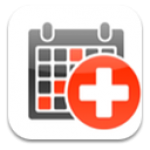 This user friendly app presents you with a straightforward calendar function designed for tracking symptoms of colitis and other related GI concerns. The colitis tracker allows you to record and input information daily and view the frequency of the symptoms are experiencing in a scrolling monthly calendar. To input information, simply select a day. Once you've selected the day, a screen appears that allows you to check off which of the six GI related symptoms you are currently experiencing, input your daily weight, free text in a comment section, and indicate if you've taken any medication. The unique part about viewing the calendar by month is this: under the settings section, you can select one of the six trackable symptoms. Then when you are viewing the calendar, the colitis tracker enables you to view the frequency with which the individual symptom was experienced. Imagine being able to quickly view how many times in a month you've had abdominal pain, frequent bowl movements, or any of the other symptoms you've been experiencing. Copyright © 2017 Bit3 Computing.